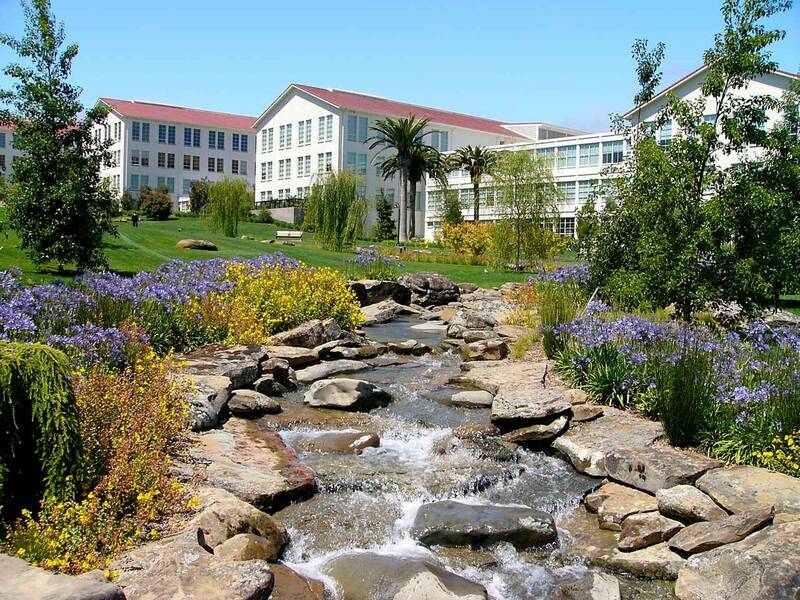 This forested 1,500 acre Presidio is a former military base and this park offers hiking trails, scenic outlooks, Walt Disney Family museum and George Lucas headquarters. The Presidio is important historically as it dates back to when the Spanish arrived in 1776 to establish the northernmost outpost of their empire in western North America. The Presidio fell under Mexican rule for 24 years before the U.S. Army took control in 1846. Over 148 years, the U.S. Army transformed the Presidio grounds from mostly windswept dunes and scrub to a prominent military post. 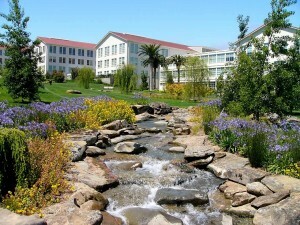 • In the movie Star Trek, the Presidio is the location of Starfleet Academy. 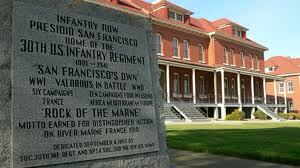 • Fort Baker cantonment (opposite the Presidio) and the Marin Headlands are the grounds of Starfleet Command. • In the final episode of Star Trek: Voyager, Admiral Janeway points out to her present-day self that the USS Voyager is preserved and located on the grounds of the Presidio. • In Star Trek IV: The Voyage Home, Kirk and Spock have a discussion while walking on the shore adjacent to Fort Point in present-day 1986. • The Presidio, a 1988 American action movie starring Mark Harmon, Sean Connery, and Meg Ryan is set in and around the military base. 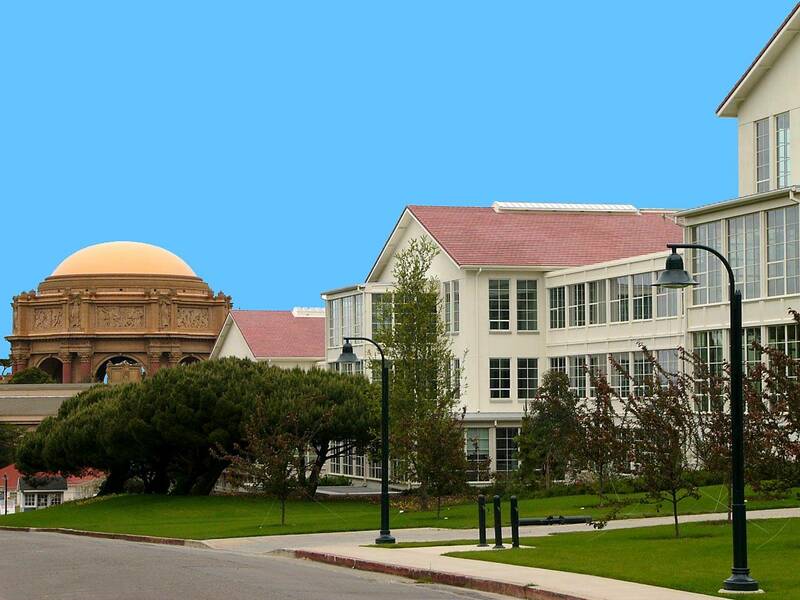 • The 2005 television movie Murder at the Presidio is loosely based on actual events. 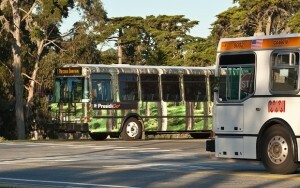 There are also several SF MUNI routes provide service to or near the Presidio (1, 28, 29, 41, 43, and 45). Riders can use these lines to get to the park and then walk or transfer to the free PresidiGo Around the Park Shuttle to reach their final destination. 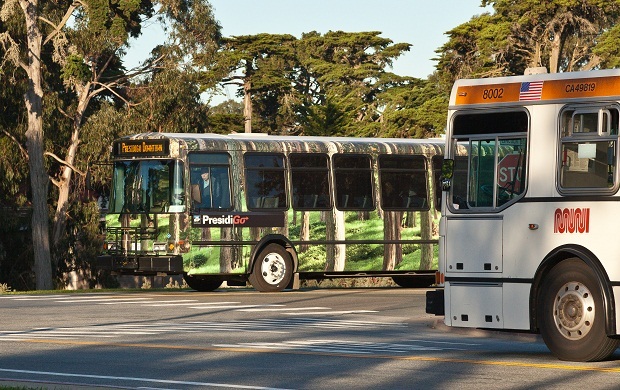 The Around the Park Shuttle is also free and available to visitors. 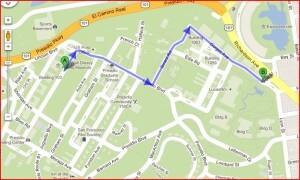 It runs from 6 am to 7 pm on weekdays, and 11 am to 7 pm on weekends. Presido is probably a place you can miss out if you have limited time in San Francisco. 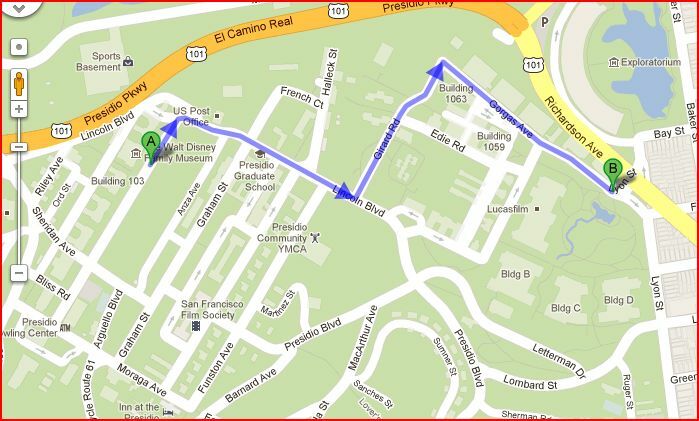 If you visit the Presido, you must visit the Walt Disney Family Museum and the George Lucas Star Wars Headquarters.